This combination works by direct AT-1 receptor blockade and calcium ions inhibition across cell membrances. Enlisted as one of the effective choices for the first line treatment in hypertension. Excellent combination regimen for those with co-morbidities like diabetes mellitus,heart strokes,heart failure and kidney problems. Low -dose combination therapy that appears a better therapeutic approach than high-dose mono-therapy. 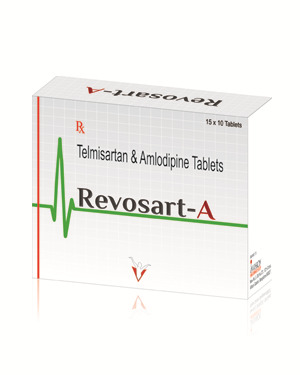 Trials suggest that Telmisartan & Amlodipine combination in hypertensive have profound complimentary action. Replacement of Valsartan by Telmisartan in Amlodipine -treated hypertensive patients shows a significant reduction in both mean systolic BP & diastolic BP. 143.7/82.3 mm Hg at baseline to 135.4/77.5mmHg after the Telmisartan treatment. Additional BP lowering can be achieved by switching to 5 mg Amlodipine plus 40mg Telmisartan from 5mg Amlodipine plus 8 mg Candesartan.